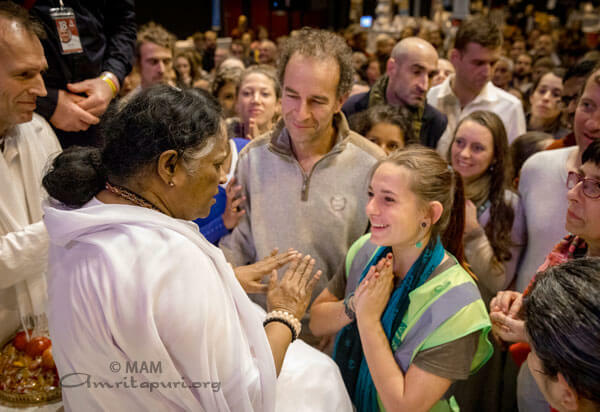 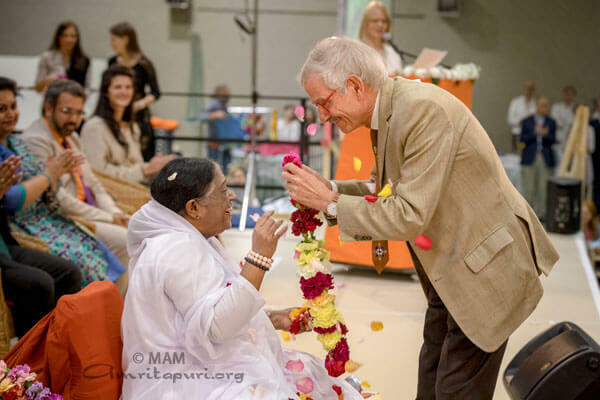 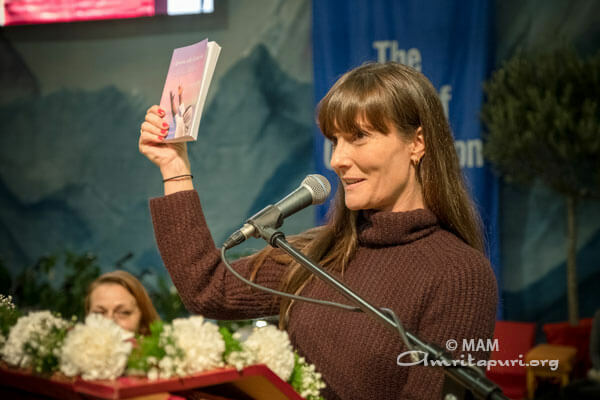 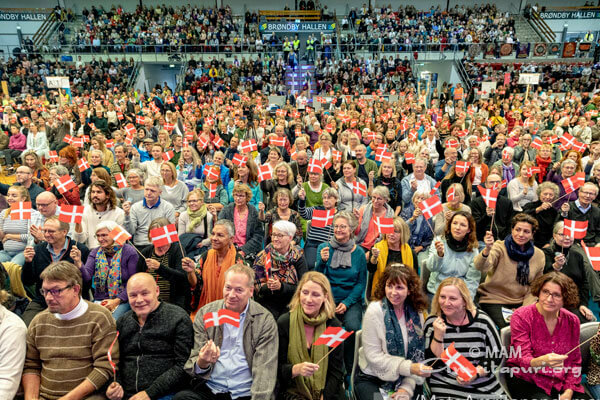 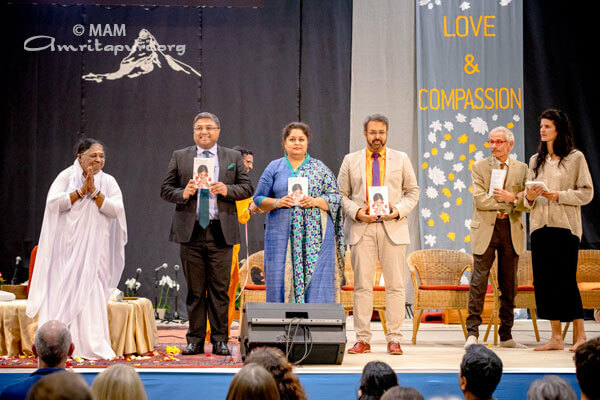 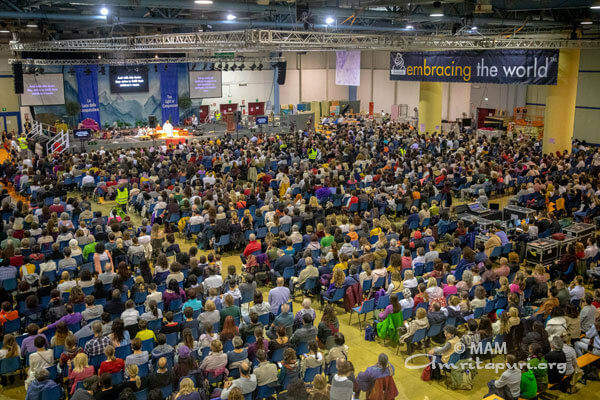 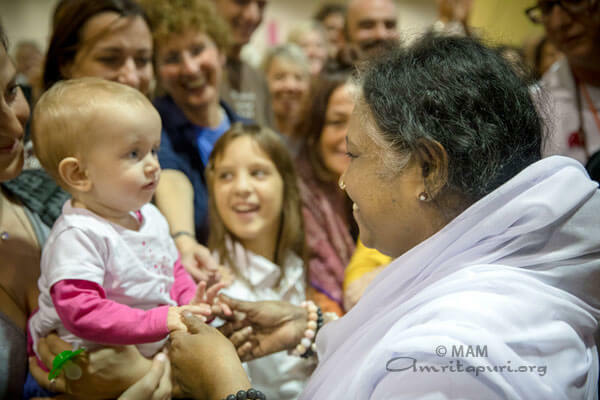 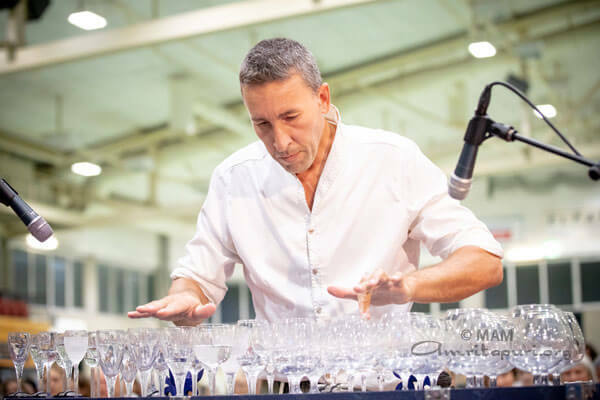 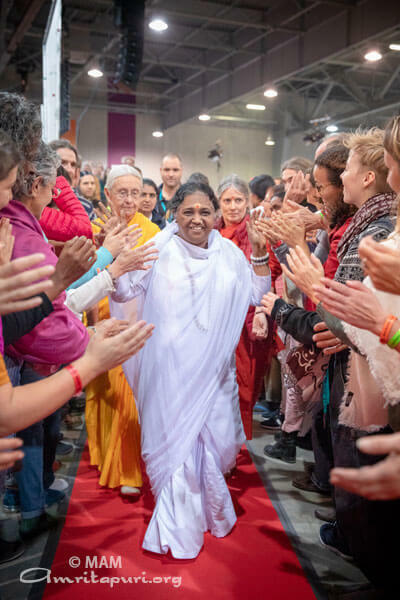 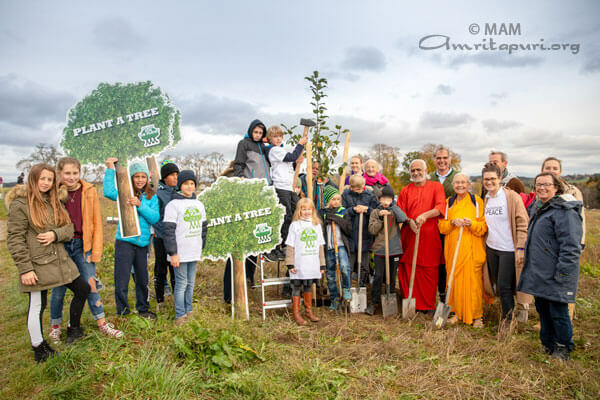 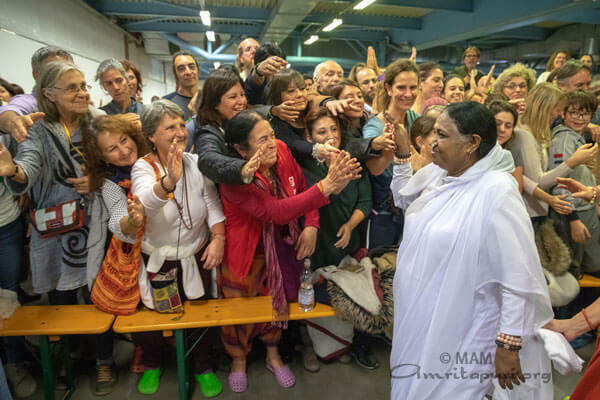 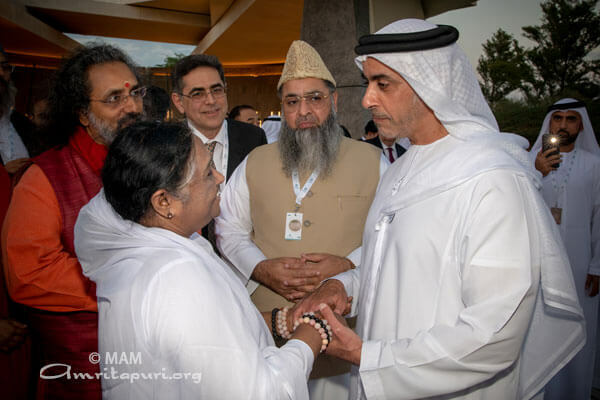 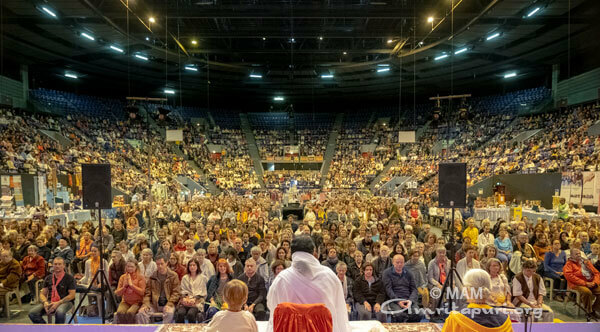 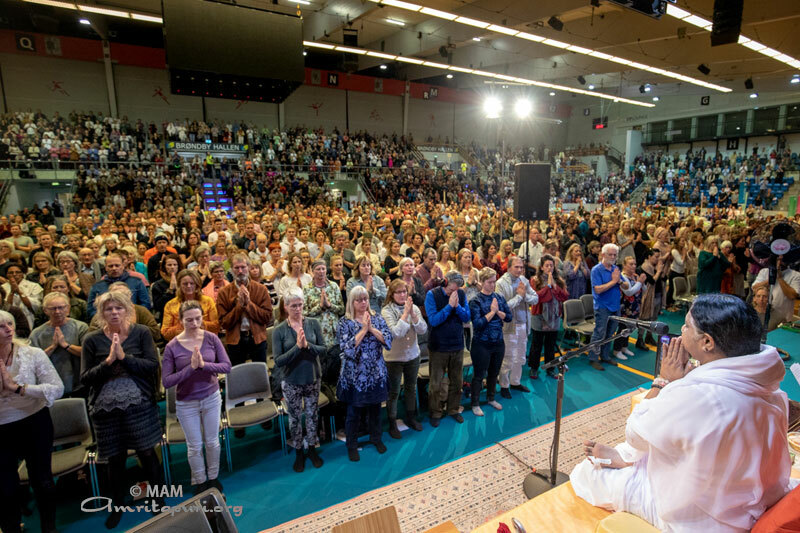 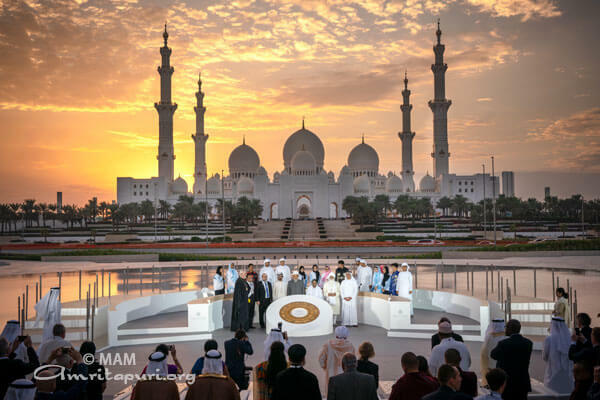 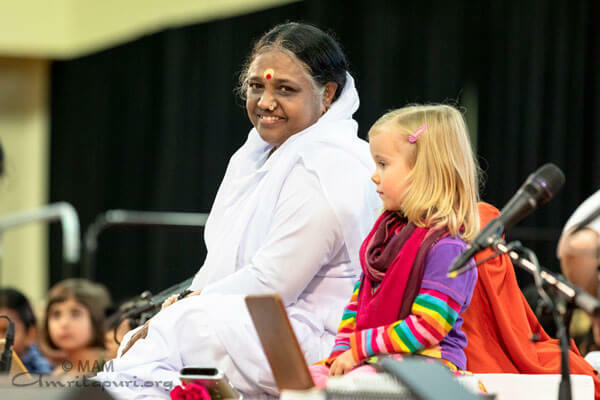 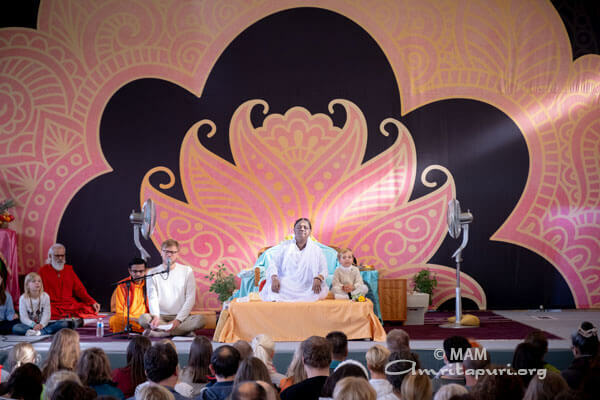 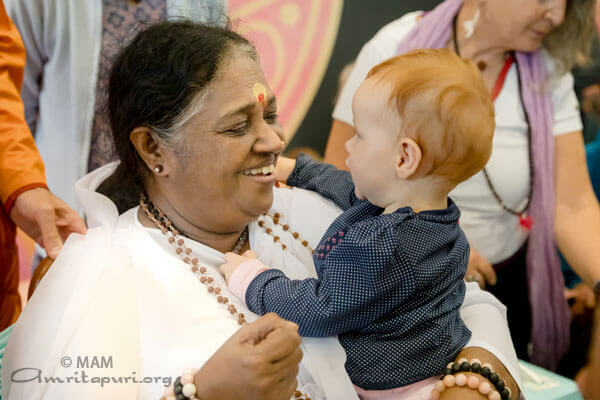 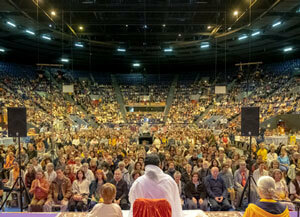 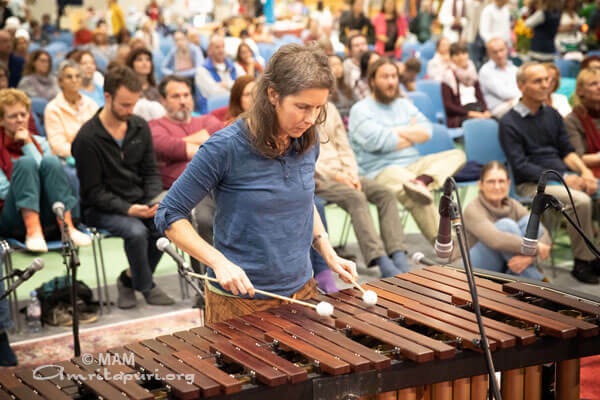 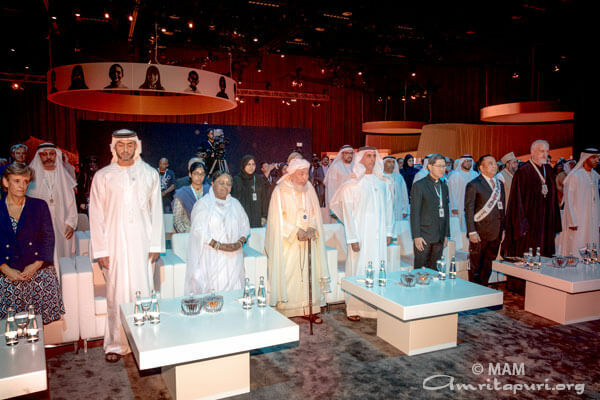 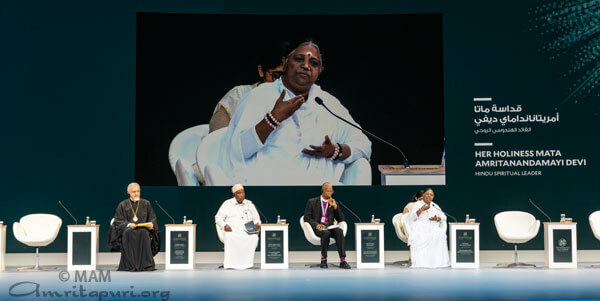 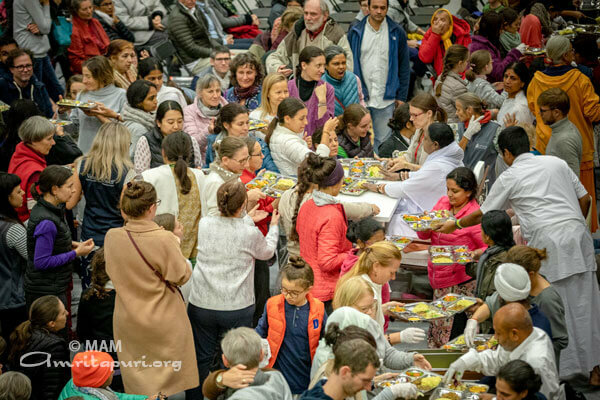 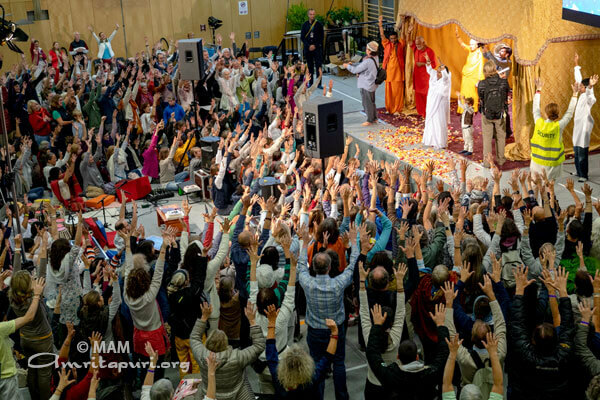 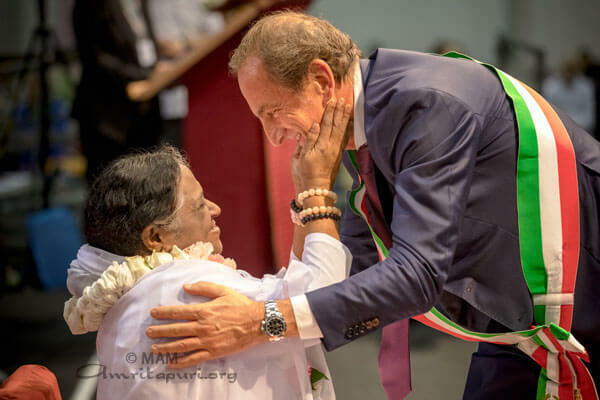 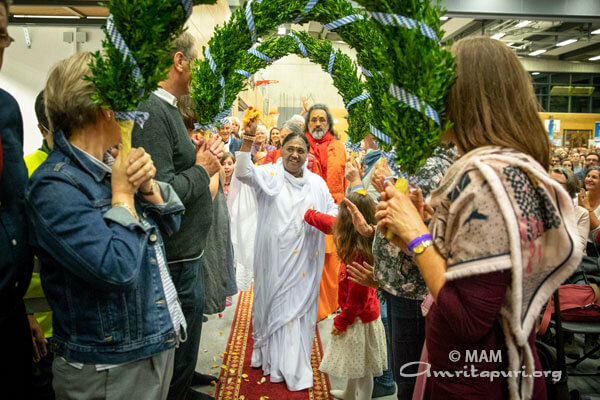 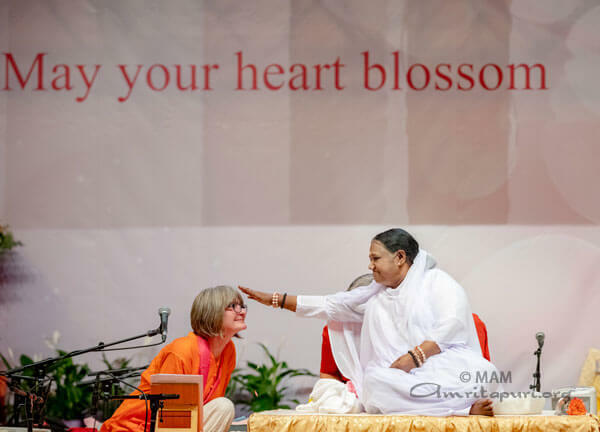 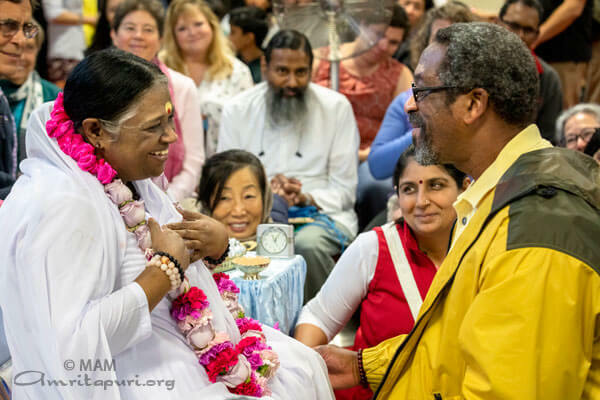 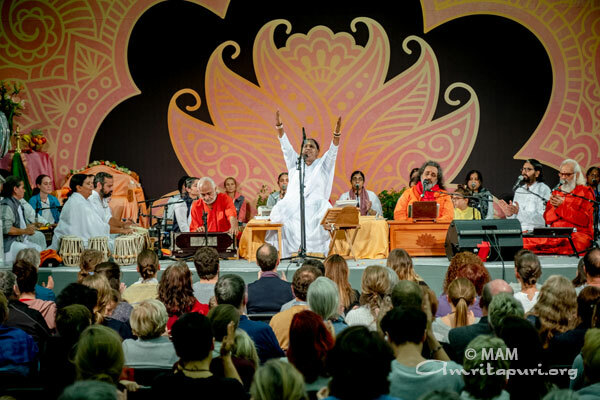 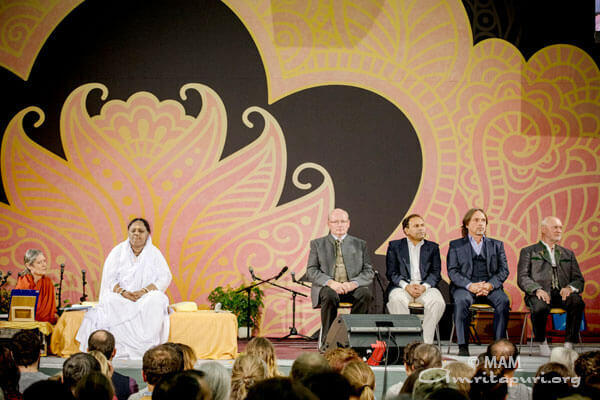 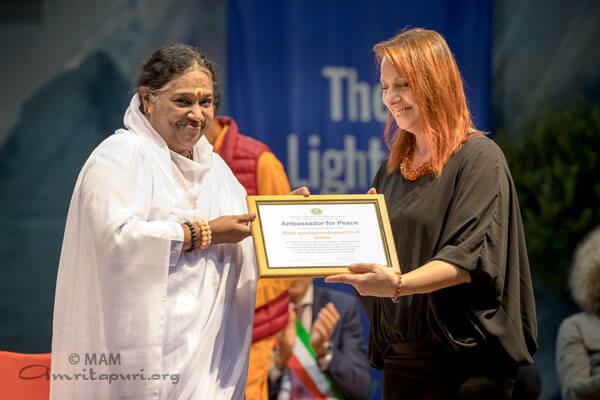 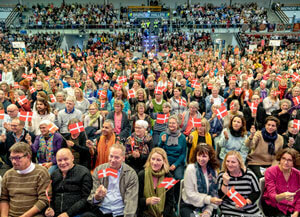 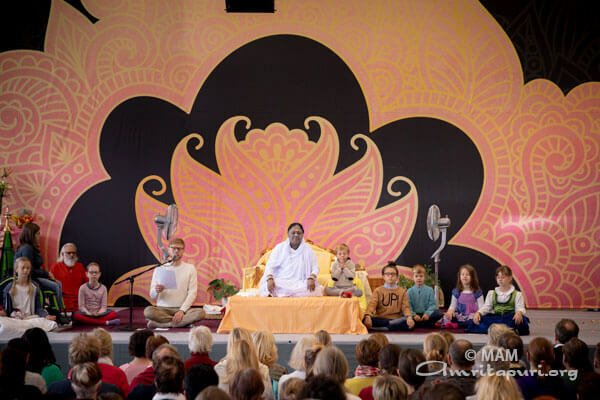 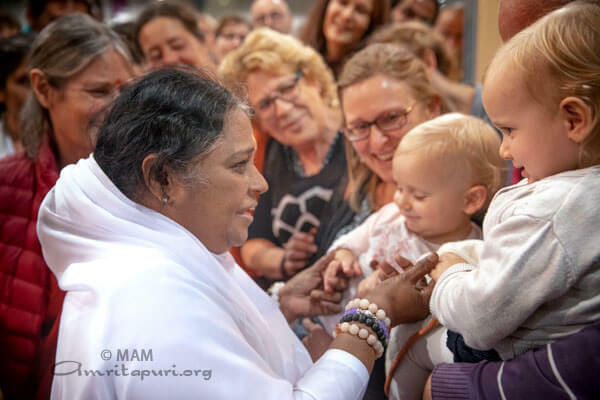 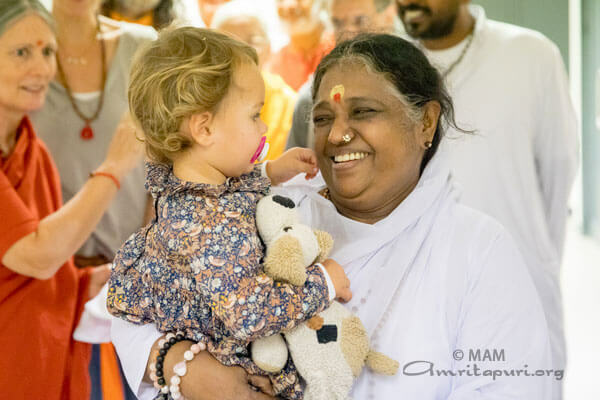 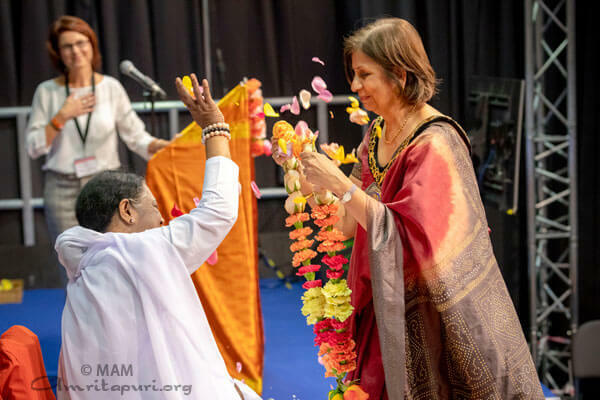 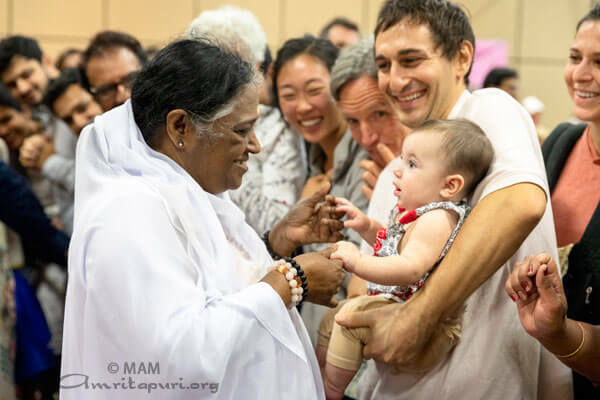 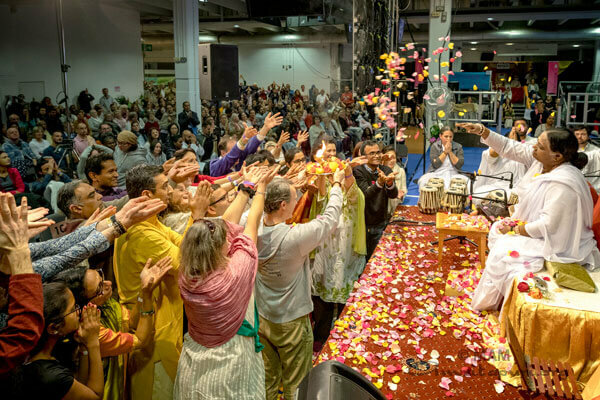 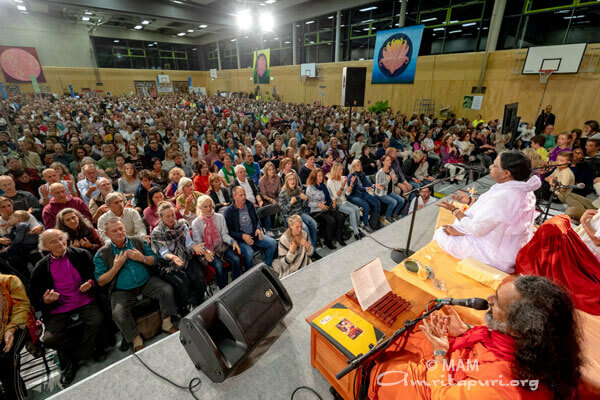 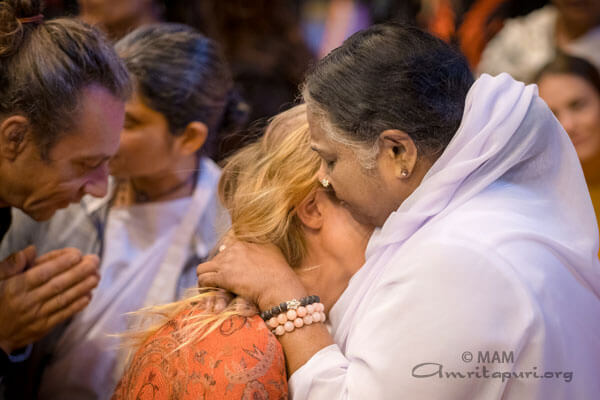 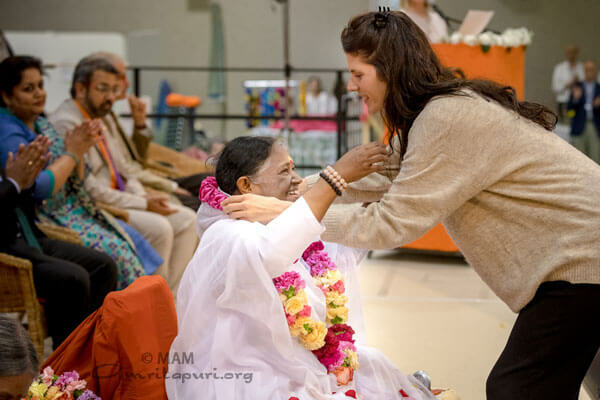 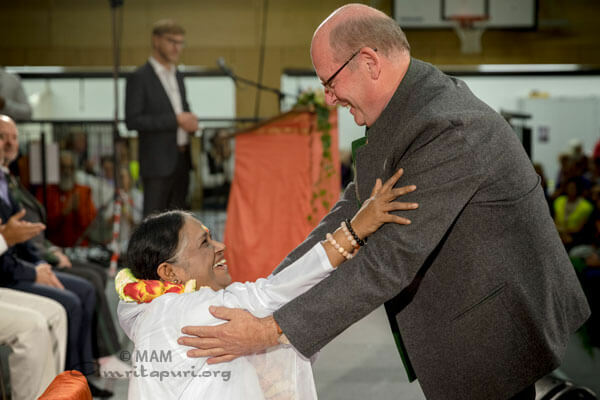 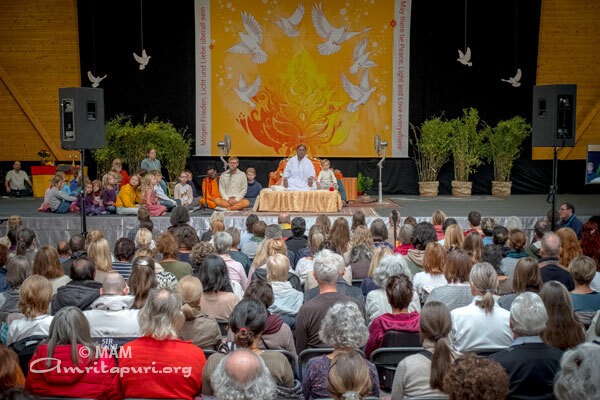 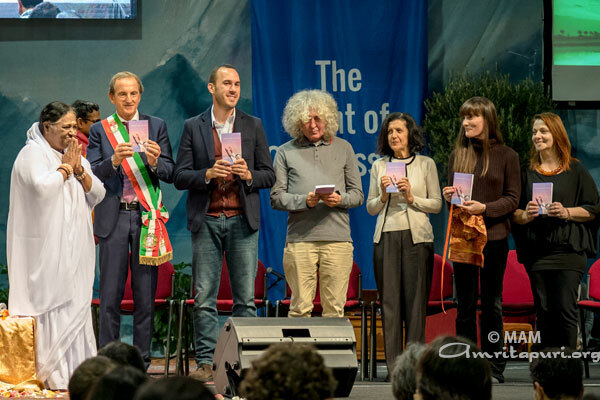 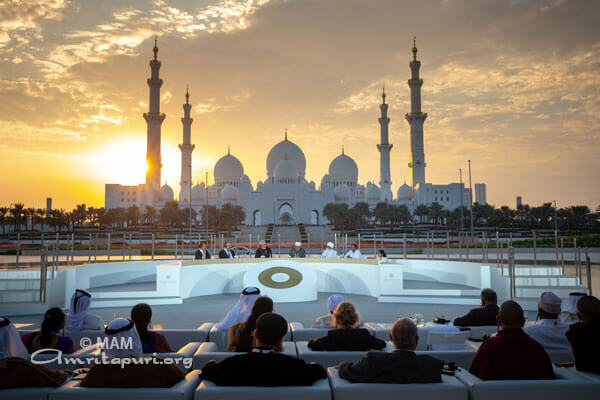 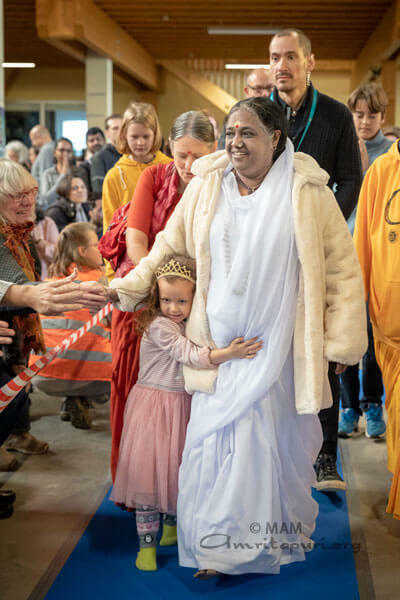 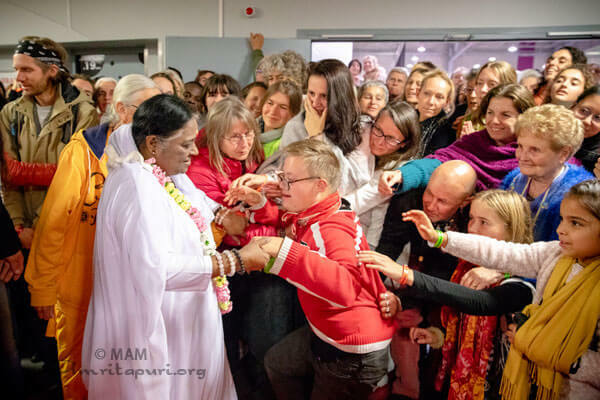 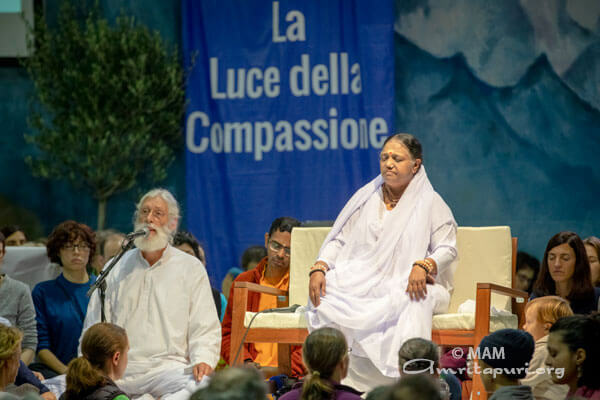 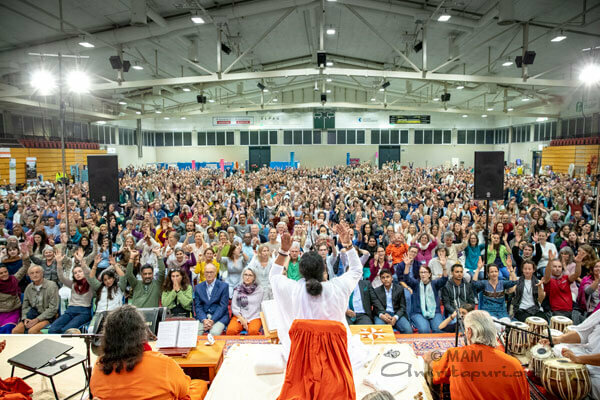 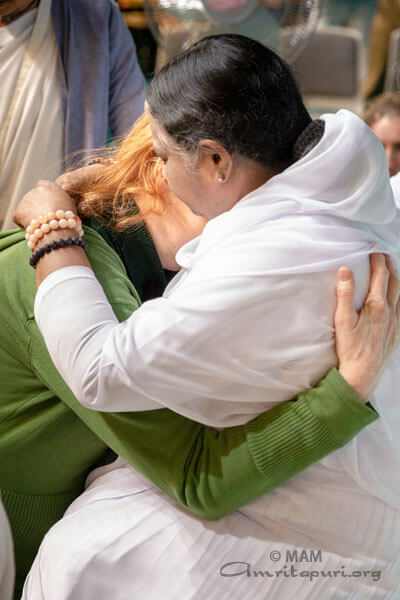 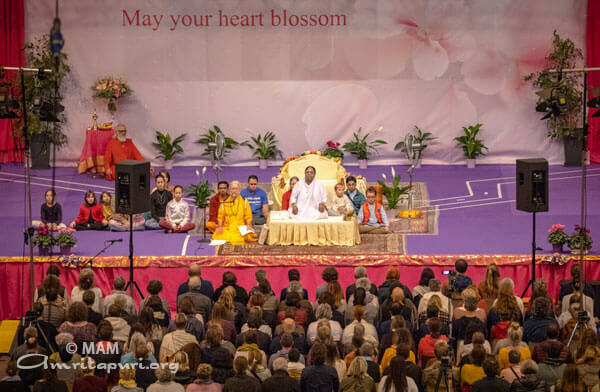 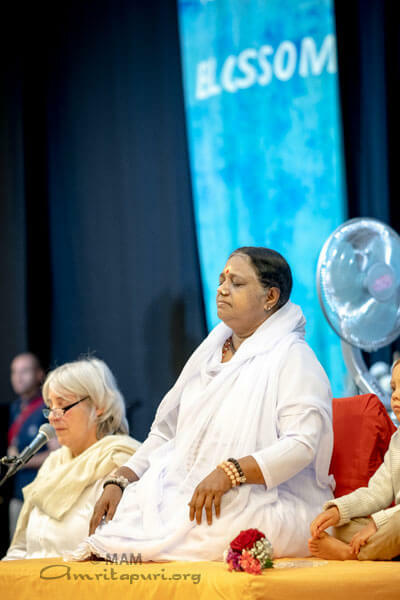 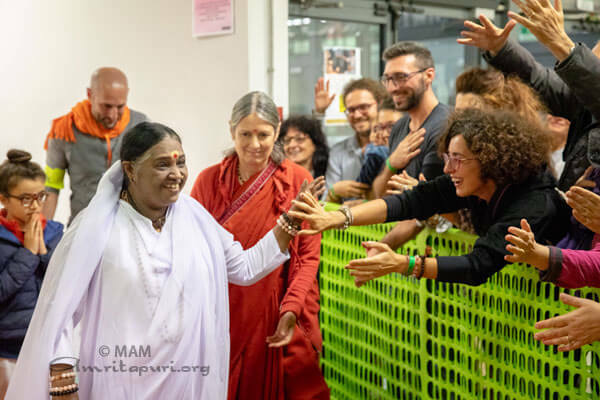 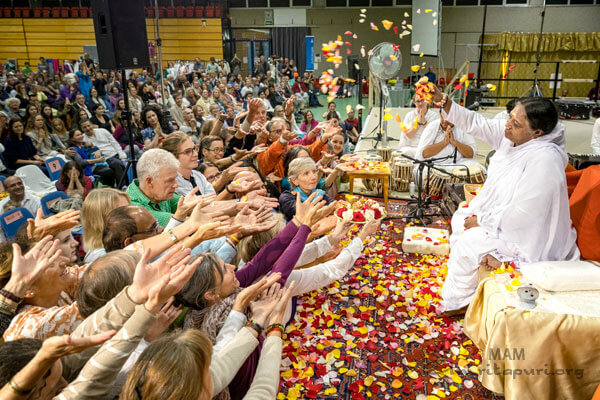 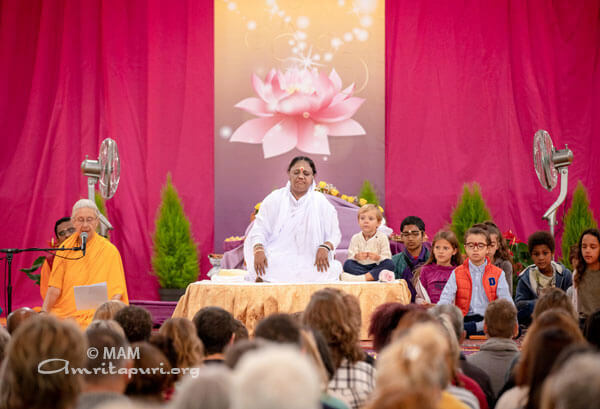 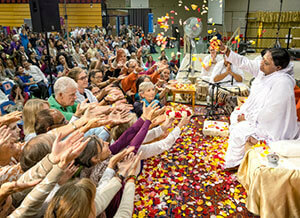 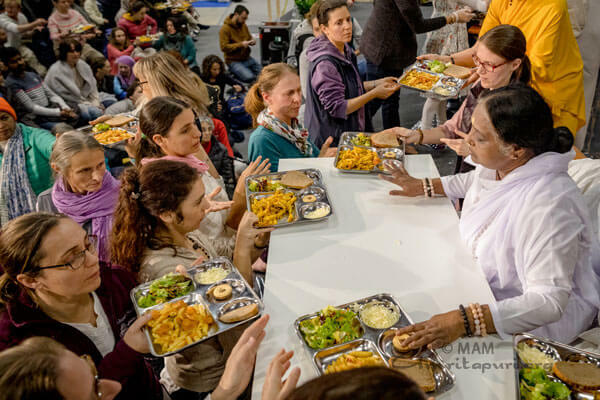 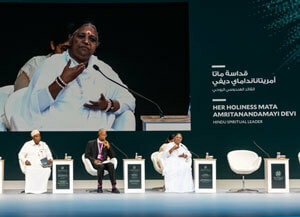 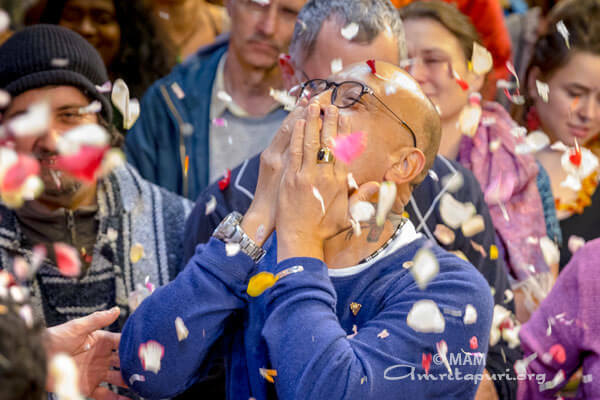 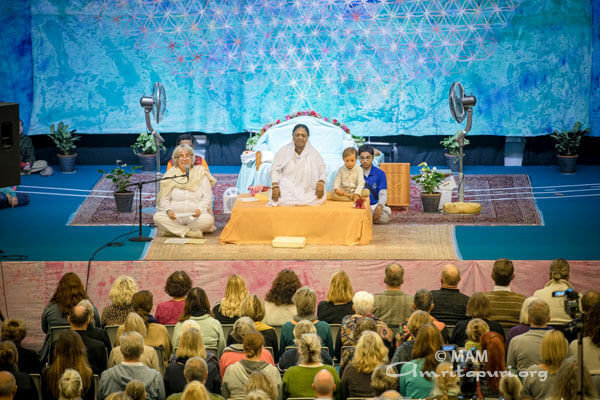 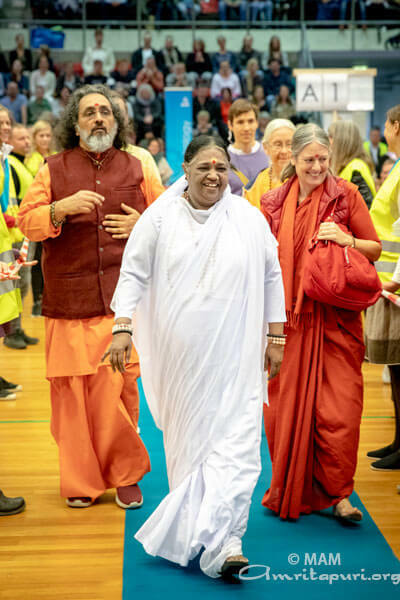 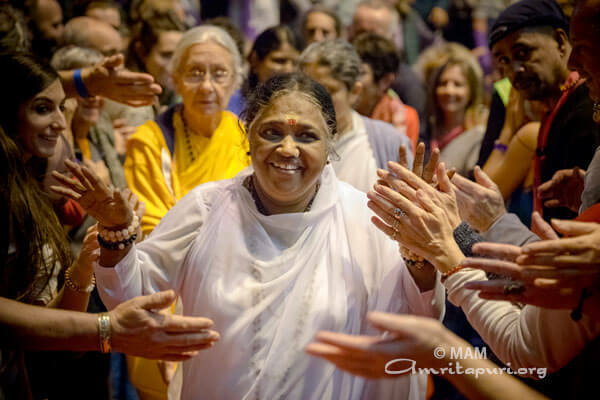 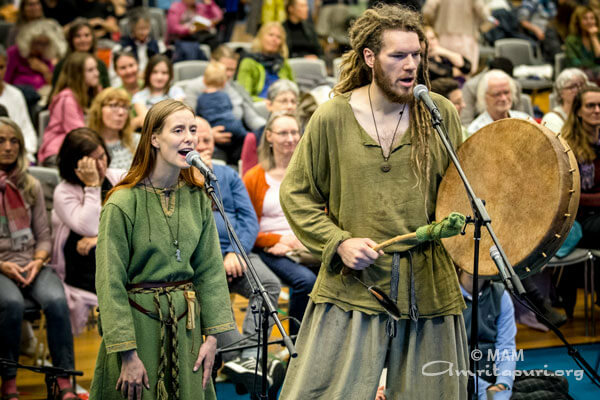 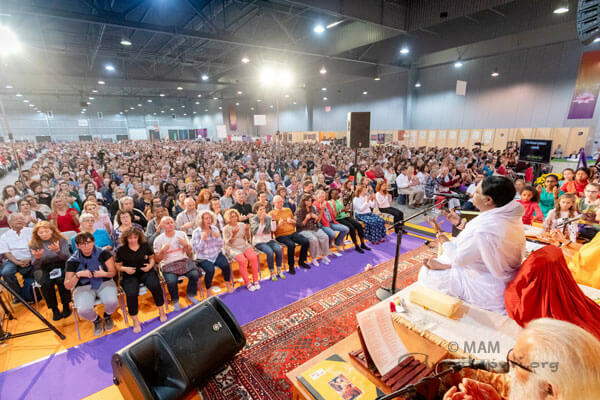 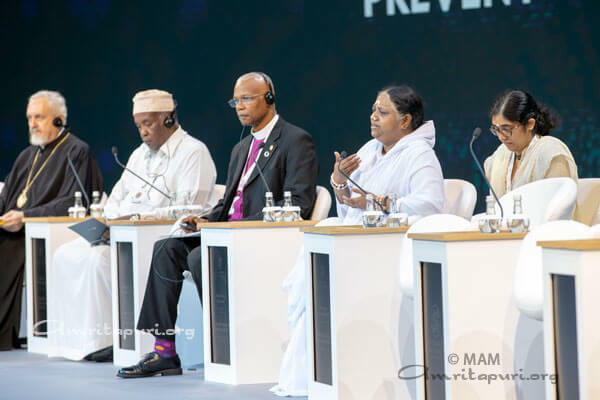 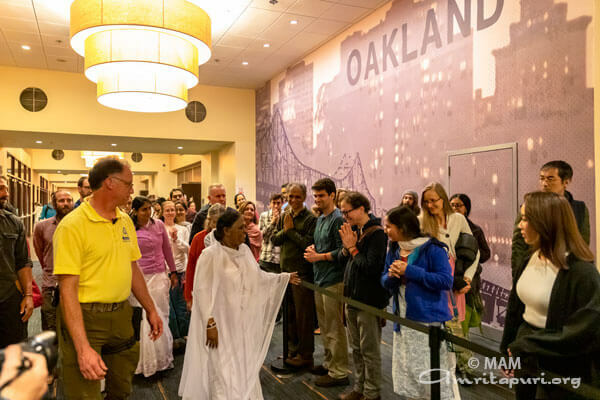 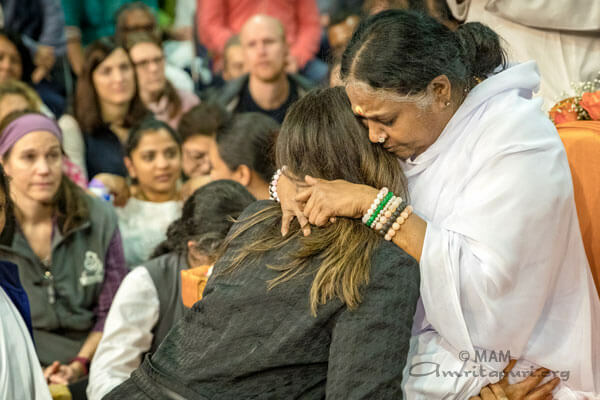 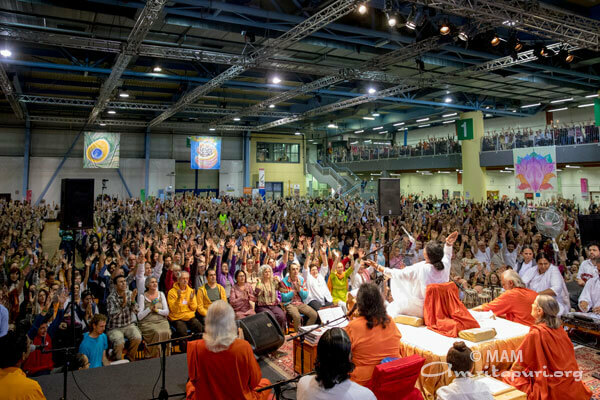 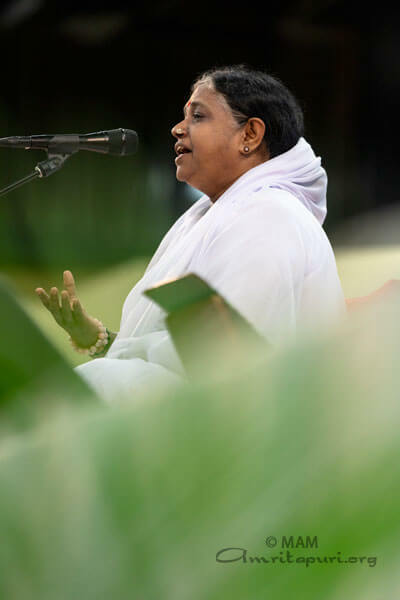 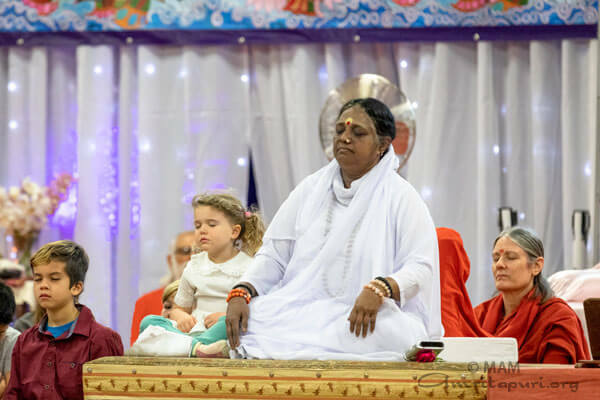 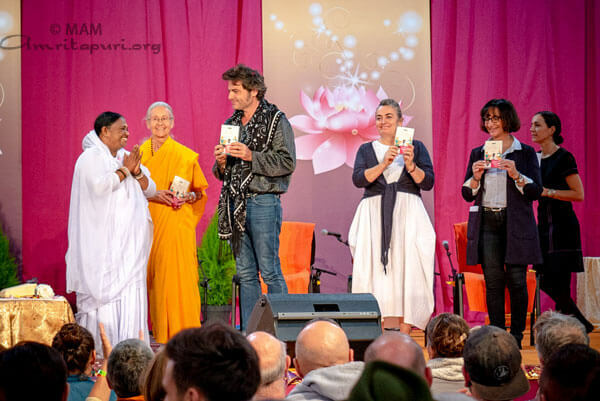 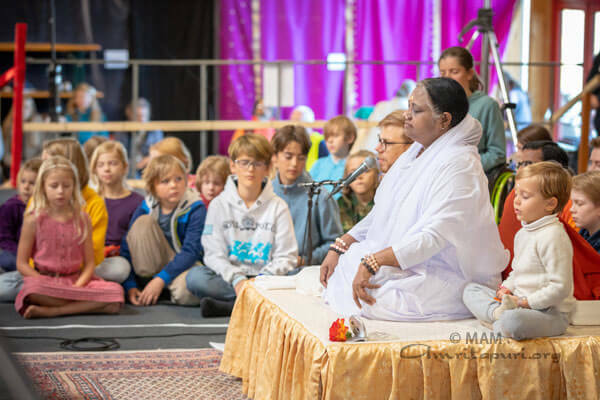 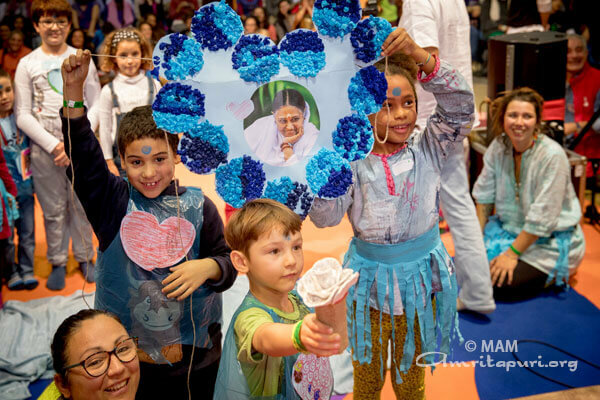 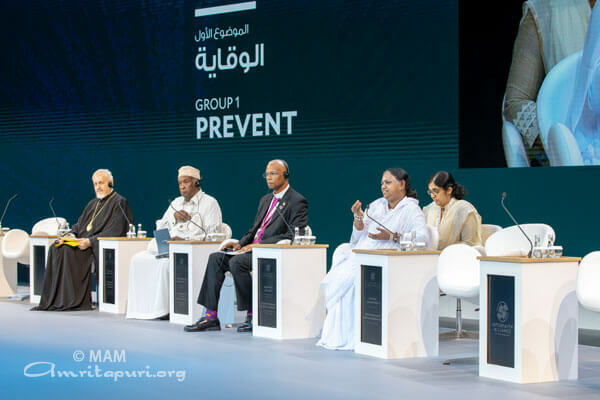 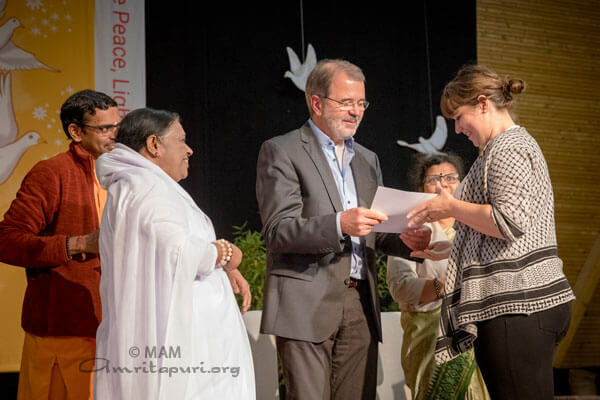 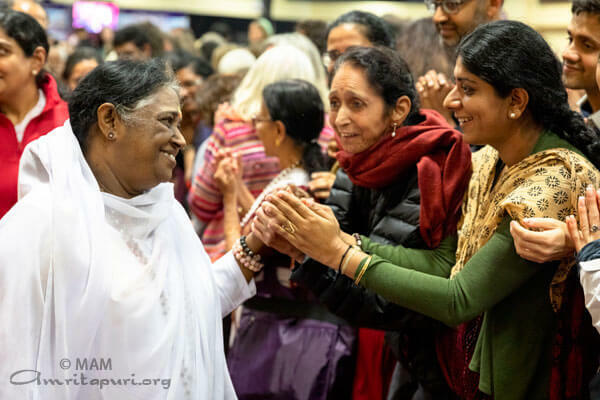 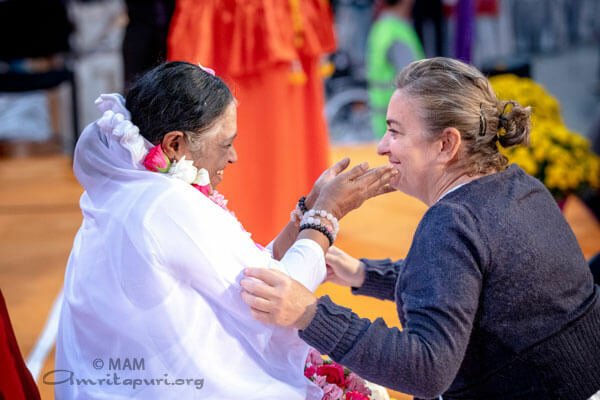 In the second year of Amma’s visit to this province of France – despite being more than two hours’ drive from Paris, the massive Le Capitole en Champagne was overflowing with people on all 3 days of programs there. 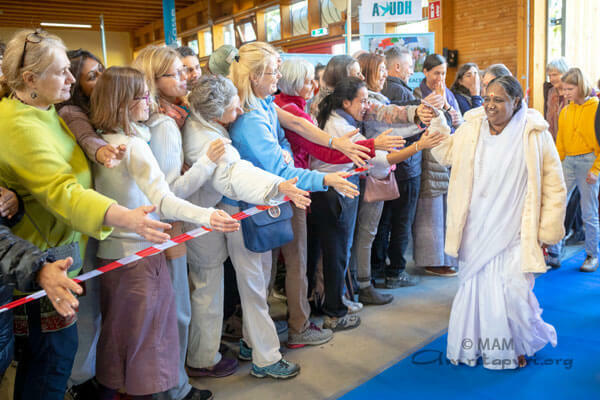 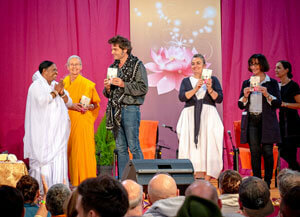 Amma was welcomed to France by acclaimed French recording artist and composer, Mathieu Chedid, better known as M; Ms. Martine Lizola, Regional counselor and Deputy-Mayor of Châlons-en-Champagne; and Ms. Anne Ducrocq, Director of the ‘’Points-Vivre’’ Editions publishing company, which has published two books of Amma’s teachings for the French people. 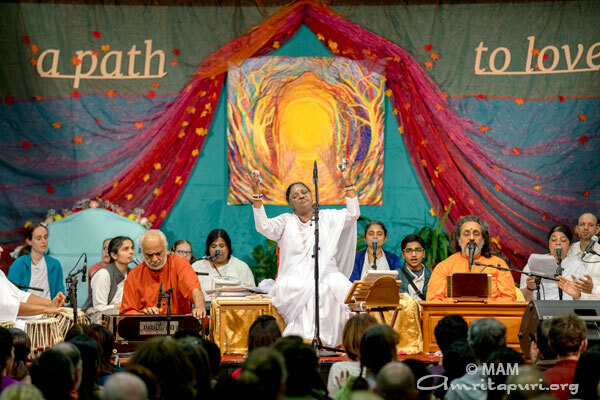 “I tied hope to the roots of life. 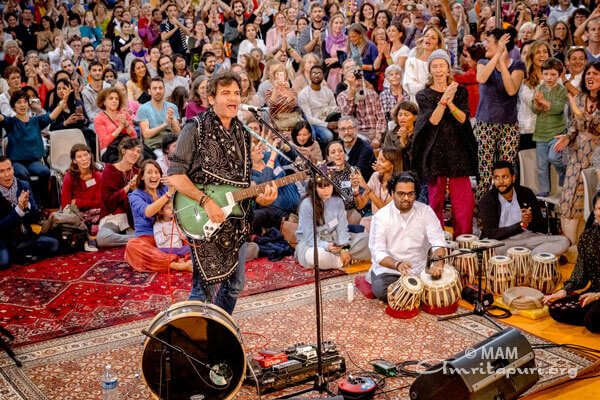 In front of the dark, I planted lights, like flames along the edge of the nights. 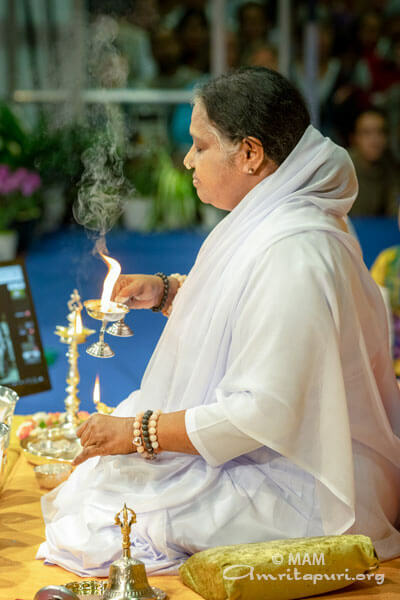 Lights that stay, flames that slide, between shadow and destruction. 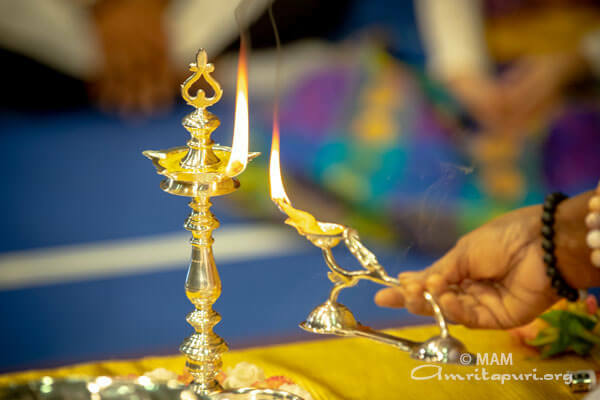 These lights are reborn, the flames rise up and never die. 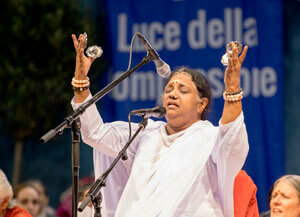 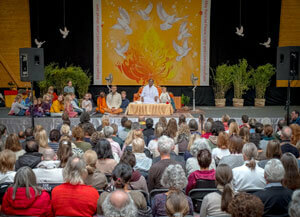 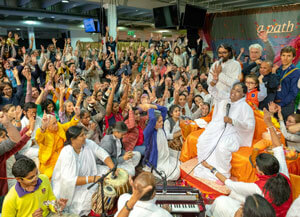 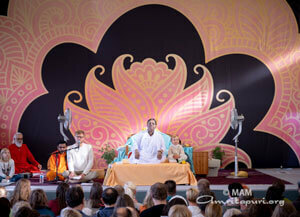 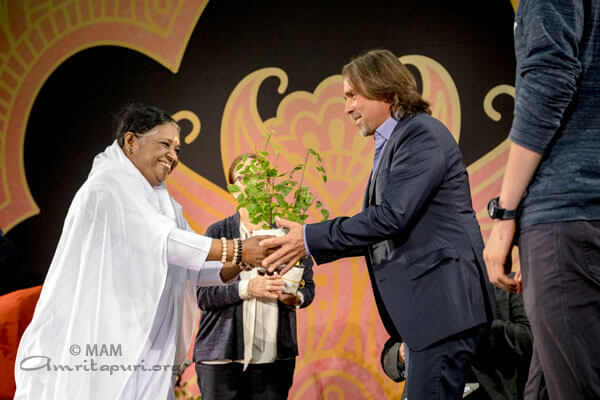 Later that evening, M performed for Amma. 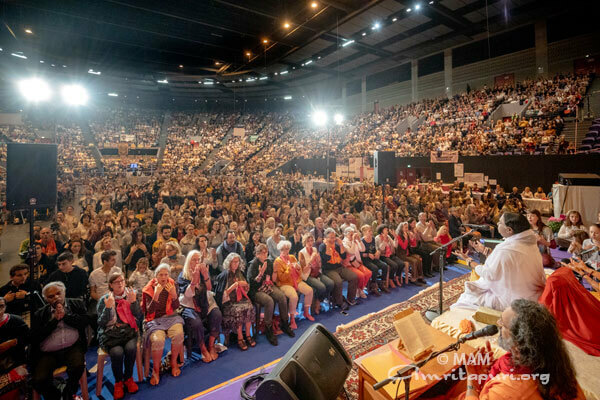 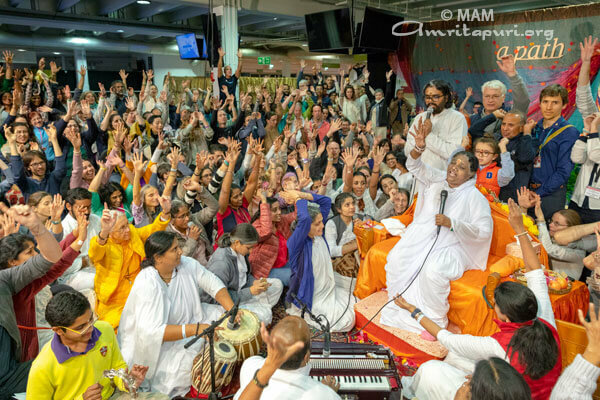 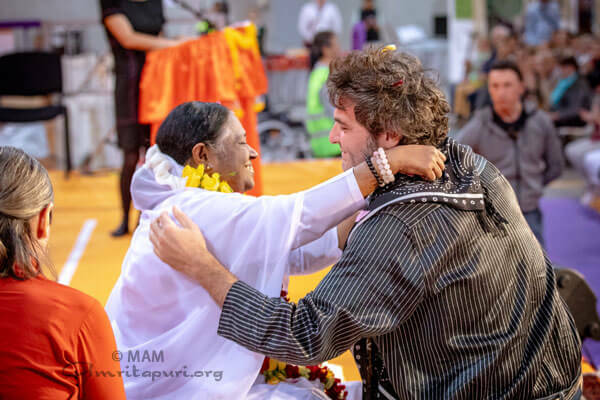 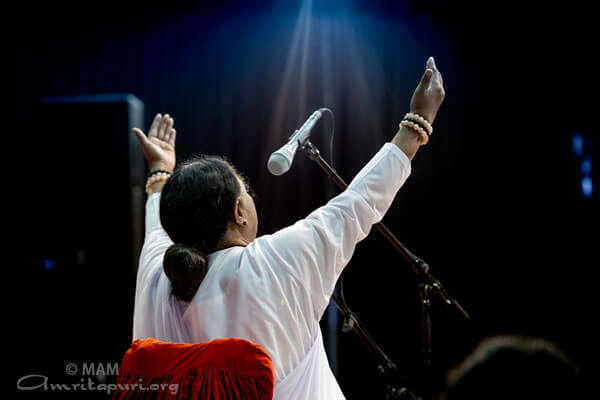 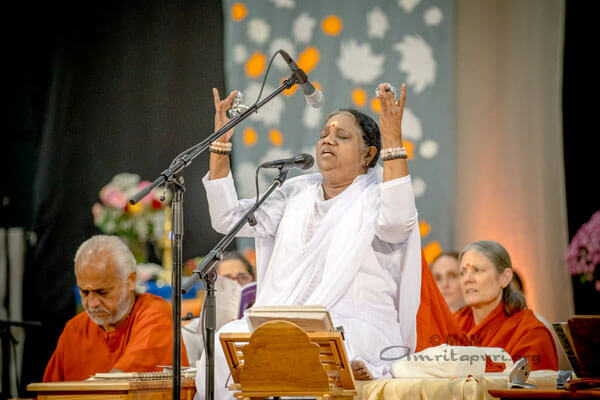 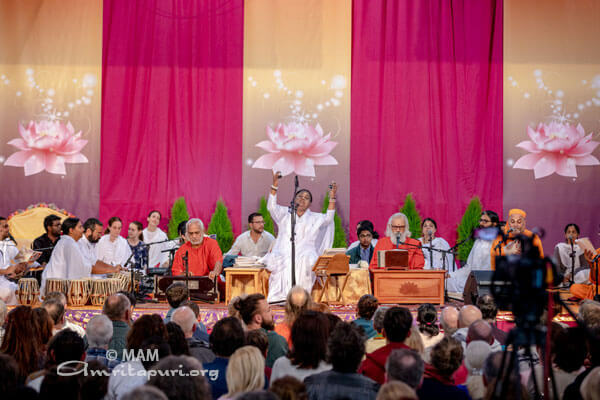 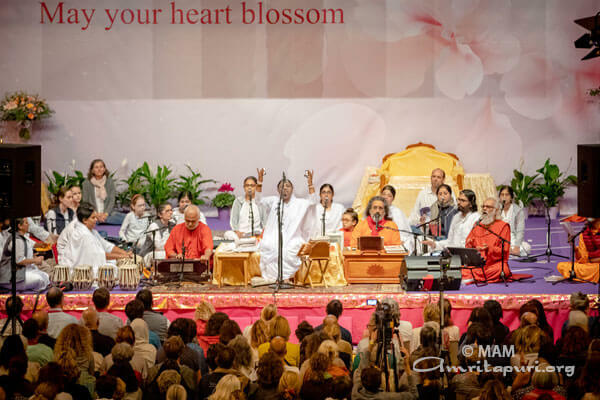 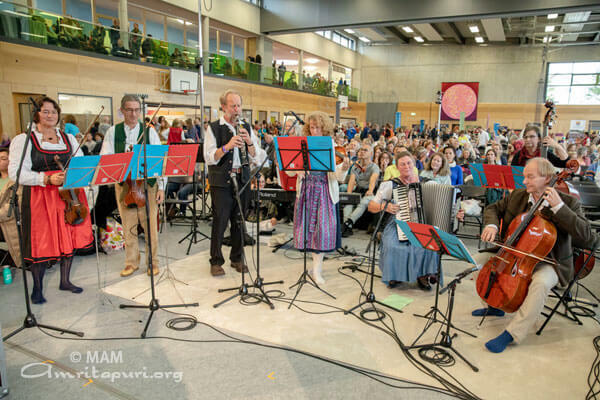 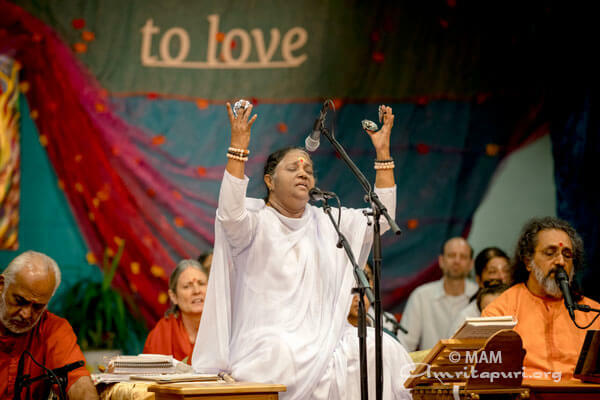 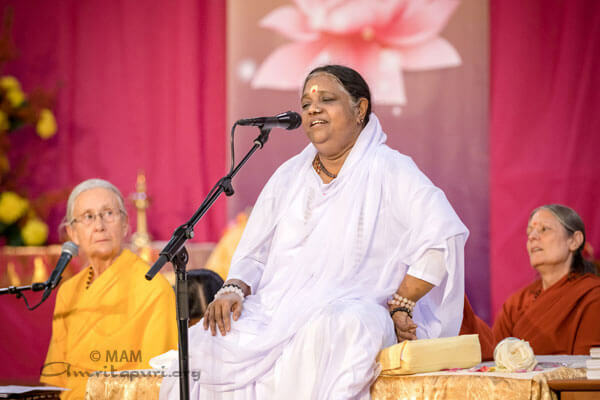 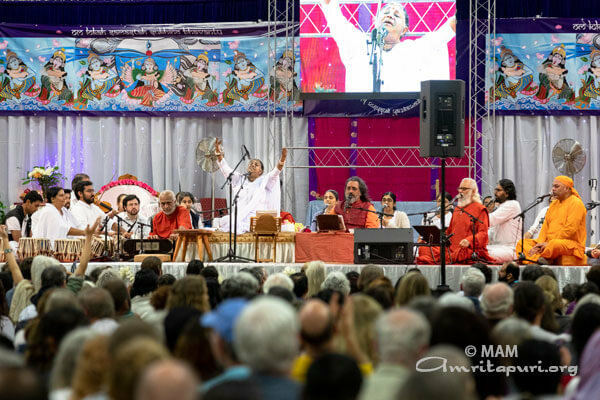 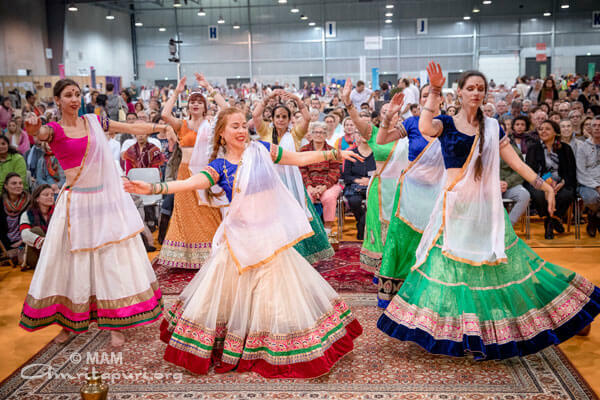 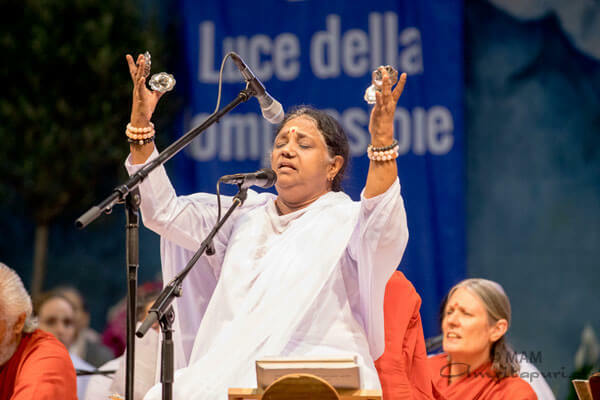 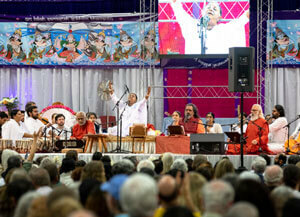 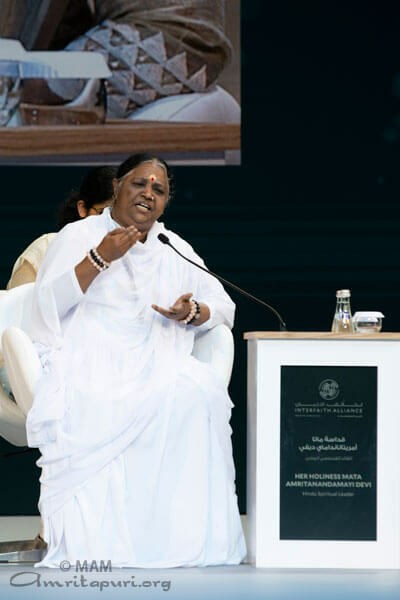 His inspiring performance and spontaneous “Amma” chants delighted the gathered devotees, for whom the coming together of one of France’s artistic treasures with their spiritual guiding light was a dream come true.